The Nollywood actress was spotted for the first time on the set of a movie since the death of her only child. 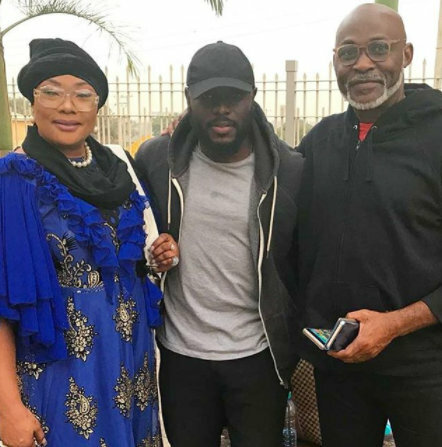 She was seen alongside Richard Mofe Damijo and SGIT star, Ayo Olla. Glad she is bouncing back.